Dr. Pat Sidhu is a serial entrepreneur who has demonstrated high levels of success in building and directing multiple thriving enterprises. His former leadership positions include Co-founder, Learn-it Systems, LLC; Founder & CEO, Spectrum Solutions Group Inc.; Co-founder, President & COO of HiFusion, Inc.; and Co-founder, President & CFO Liberty Lending, Inc. One of Dr. Sidhu's ventures, Learn-it Systems, LLC, the largest provider of supplemental educational services under the No Child Left Behind Act, provided customized, outcomes-focused tutoring to over 40,000 students per week. Overall, his ventures have employed over 15,000 individuals and have been recognized for providing rich experiential learning and leadership development opportunities. Dr. Sidhu has expertise in organizational and leadership development and has developed strategies for leading people in an increasingly connected global society. As a mentor and coach to numerous current and future entrepreneurs and business leaders, he guides individuals to seek the requisite academic support systems and skills development opportunities to maximize their performance and achievement. 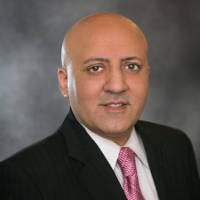 Dr. Sidhu received a BA from George Washington University in 1987, a MS in Finance from Johns Hopkins University in 1993, and a Doctorate in Management from Southern California University in 1997.